Aperion Audio is bringing out its Aris wireless speaker set from pre-order stage. Aris wireless speakers are now available for direct purchase from aperionaudio.com, Amazon and Audioholics Home Theater Store for $499. Aperion Audio Aris wireless speakers are the first ever Windows 8 certified compatible (& Windows 7) audio devices with support for DLNA. Aris audio system easily connects to your home network through Wi-Fi or ethernet cable, after which it is recognized by all your devices including desktop PCs, laptops, iOS and Android smartphones and tablets. Being DLNA compatible means a wide variety of DLNA music Apps can play music through these speakers but a standalone Aris Android app is also available in Google Play Store and an iOS app will soon be released. And since it is Windows 7 & 8 certified, music can be streamed wirelessly using Windows media player or Windows’ ‘Play To’ feature. 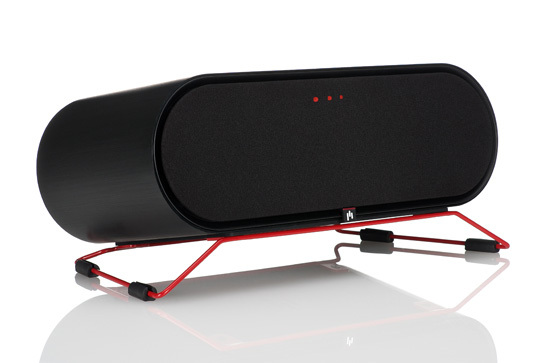 Once connected to the network the speaker can be controlled by any device at any point of time and is not restricted to a single device, as is the case with Bluetooth pairing. Connection can be done through either Wi-Fi Protected Setup (WPS) or using a simple on-board setup sequence when WPS is not available. Aris comes with a Wireless Card for Windows, which automatically connects to the Internet and updates its software to keep its networking and codecs up to date. The Wireless Card also comes in handy if the need arises for a change of networking hardware. Being a dynamic, auto updating card it makes sure your audio hardware remains compatible with the new router or modem.